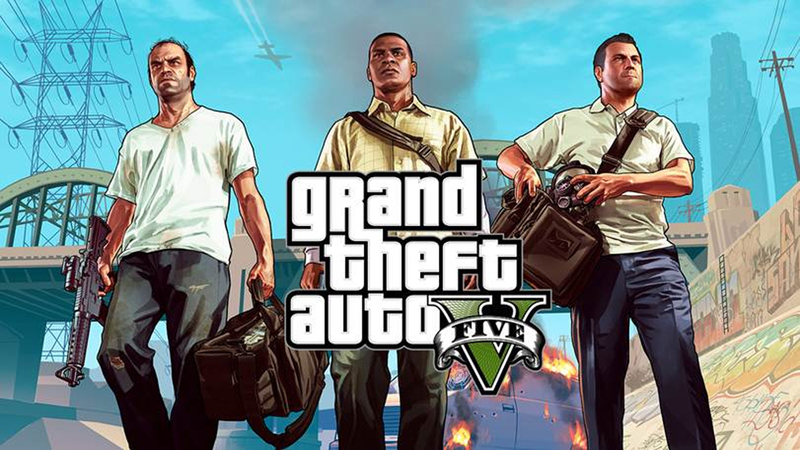 Grand Theft Auto Online released on October 1st and despite a very rocky opening month the gameplay is a lot of fun. As the game doesn’t often make things clear I have some tips and tricks that I’ve picked up while playing that just may give you a much needed edge as you enter the online world. When you first enter GTAO it can be extremely disorienting, players will begin by completing some tutorial missions where aspects of the game slowly unlock over time. The game uses this mechanic to explain the various aspects of the game and one of them is owning and modding your first car. You will want a tracker and full coverage insurance on your car as well as some other bells and whistles and the game is nice enough to foot the bill for a few of the amenities. This is where some consideration needs to be applied, this is the only car you’ll have for awhile so you will want to choose a car that drives well, has decent speed, and will otherwise serve your needs. My personal favorite starting car is the Schyster Fusilade, it has good acceleration handles reasonably well and even better with practice and looks nice to boot. You won’t have many mod options available to you at this point in the game but you can choose from a few tire rims, paint jobs, and some other cosmetic upgrades. You will also get a complimentary car tracker and insurance and these are a must for any vehicle you plan to use on a regular basis. If your car gets destroyed it is as simple as calling up the insurance and paying a nominal fee for a brand new car just as you had it. It is important to get into your first property as soon as you can, The cheapest property you can acquire will be around twenty grand so you may want to hold off buying all those new clothing items until you’ve got it. The garage serves a few purposes. The biggest reason for owning property is to secure a safe place to log into the game. The various game lobbies you may join will vary wildly in terms of safety, you will get everything from lobbies where everyone ignores each other and goes about their business all the way lobbies that might as well be called a thunderdome. You will also gain a second slot to save a car in by owning property and this garage will also allow you to repair your vehicle simply by driving into it this will save you anywhere from a few bucks to five hundred or so. Another perk of the garage is that you get a mechanic who can be phoned up and will deliver your vehicle to you nearly anywhere. There are some limitations to this feature so I would recommend testing it out before you rely too heavily upon it. The game offers multiple properties to own, and you will want to begin saving up again right away to get yourself a six car garage as soon as possible more on this later. Sadly you can only own one property at a time, as before you will want to consider your choices carefully. The cheapest apartment to own that has a ten car garage is around 200k, you can opt for two or six car garages that are attached to properties but I’m all about maximizing my gaming effectiveness. There are two garages, a two car and a six car conveniently located nearly next door to a Los Santos Customs. Having easy access to this business will facilitate your money earning endeavors and increase earning potential so I cannot recommend these as your starting garages enough. Once you’ve saved up and are ready to buy your first apartment I would suggest going for the 200k apartment rather than saving up for the more expensive locations. 200k will net you a nice apartment with all the amenities and a ten car garage. The only difference between the apartments is the view, otherwise they’re all identical. If you’re interested in the view out of your windows you may want to save up for a better apartment but otherwise it would be best to go with the 200k apartment. Ammunation will sell various weapons as you unlock them via ranks. Each weapon has a number of customization options that also unlock as you rank up. You can purchase ammunition from these shops or stock up on multiplayer lobby screens for missions, deathmatches, last team standings, or any others that make use of bullets. The pro tip is that several guns make use of the same ammo pools, but cost more depending on which weapon you’ve bought it for. For example, the compact smg rounds cost around $60 but the assault smg are around $100 or so. These weapons use the same bullets, so when you restock your ammo choose the starting weapon in each category. The only weapon category this doesn’t apply to are the special weapons and explosives (i.e. grenades, sticky bombs, gas can, rpg, minigun, grenade launcher) This might not seem like a big deal, but after you’ve completed a full 10 wave survival mission your ammo stores will be severely depleted and that 20 dollars or so for each bit of ammo could be useful later on. The lifeblood of GTAO is money, and you can acquire this in a variety of ways the easiest being selling cars. Cars that are worth less than 50k can be stolen and sold to LS Customs for sums ranging from $1200-$9500. The most consistent vehicle to steal and sell is the Gallaventer Baller. This SUV will net you a tidy $9000, and you can sell a car every 48 minutes, as the cars in GTAO tend to spawn in waves this is where the six car garage comes in handy. When the Ballers begin to spawn you can collect them and store them in the garage. This allows you to essentially “save up” as well as making the vehicles yours so you won’t trigger a wanted level if you drive past the cops. At lower levels this is the best way to earn money in GTAO and even at levels remains a steady source of income. In the same vein as selling cars to LS Customs, you will receive a want list from Simeon once a day or so. These cars will be a semi random range of vehicles with one being more valuable than the others. That also means the car is harder to find but with a little google help to see where cars commonly spawn, what they look like, etc. Again this should only be attempted in public lobbies at your own risk, if you do find the rare car all players in the lobby will be alerted to you doing so and will be able to track you on the map to intercept. After you have delivered a vehicle to Simeon, he will often request a specific vehicle indicated by green vehicle icon on the map. These requests aren’t always made apparent so you’ll want to keep any eye out right after you’ve delivered one of the cars from the list. Simeon typically pays more for these cars than you would get from LS Customs and he won’t take cars with trackers on them so you’ll need to find these vehicles on the spot. One of the first ways of earning cash available to you will be convenience store robberies, before you begin be sure to swing down to Vespucci Beach and pick up a mask. The robberies themselves are fairly straight forward. Walk into the store, point your gun at the clerk, keep aiming at them until they give up the cash, and then beat a hasty retreat. This where your initial car choice begins to really matter as any store robbery will net you a two star wanted level so you’ll need to get away from the cops asap. These robberies are usually good for around a thousand dollars but sometimes more for the first time you rob them. Another option that becomes available to you around rank 16 or so will be robbing armored trucks. Once you’ve unlocked sticky bombs you will want to keep at least three in your inventory at any given time. Armored trucks spawn randomly in the general vicinity of the player and only remain for a short amount of time. Attacking one will trigger a three star wanted level so be sure to do your planning before attacking to plot the best course of action. I found early on that driving down to the LS river and sneaking the truck into the sewage tunnels was a nice way to shake the fuzz and had the added benefit of having fewer witnesses when the truck doors were blown. You can only get into the truck once the driver has been taken out so you’ll need to plan for that as well. Once you get faster at this, you may choose to blow the doors of the truck right where you attack it but I wouldn’t recommend that for beginners. I would also strongly suggest that you not attempt this in public game lobbies unless you’re aching for a fight. When you attack the truck, all players will receive a notice that you have begun attacking an armored truck and many players will try to intercept you to take the funds for themselves. Many of these earning activities are best attempted in Invite only lobbies as other players are all too willing to take advantage of your hard work. Missions will also net you some cash depending on the modes, as of the publishing of this article, modes such as deathmatch, last team standing, or other combat heavy games aren’t the most effective use of your time. If your team happens to lose you get nothing and you use your own personal ammo in these missions so you will essentially lose money. Races tend to have a better payout though not terribly great as it is difficult to win without having modified cars. If the match doesn’t allow personal cars you will have an even playing field. Completing the race will net you some money but it’s never great if you don’t at least get third place. Story missions can net you decent outcomes ranging from 2k to 9k for your first completions but the payout seems to diminish the more you repeat them. Survival missions which don’t unlock until around rank 15-20 are a good source of income provided you have enough banked ammunition to last ten waves. The best location for this payout is the survival mission called Boneyard. If your team manages all ten waves you will get a cool 20 thousand for your efforts. With some creative ammunition management that will allow you to restock and still make a tidy profit. There are a couple ways of earning cash that are more passive in nature. Some NPCs will put a bounty on your head when you steal their car, these range from anywhere between two grand and I’ve seen them as high as 7 grand. If you can survive one game day (not in match lobbies but free roam) You will be given the amount of bounty on your head. This is typically quite difficult if you’re playing in public lobbies but are a cinch if you do your business in invite only lobbies. Bounties can also be placed on your head by other players and function the same way, if you do get a bounty while in a public lobby be prepared. Your location marker will be colored red and many of the other players may come for you. If you remain a good sport, that is refrain from destroying other players cars, not quitting early from matches etc you will randomly receive a thousand dollars which is a nice bonus for being a good sport. When you get paid for a job, selling a car, or pretty much anytime money changes hands in the game that will be given to you as cash. Once you are holding onto more than 5k you will be at risk of losing that money if another player kills you. As with other activities, this is not much of a problem if you’re playing by yourself but it never hurts to be prepared to quickly defend yourself when you come out of a mission or come out of LS Customs after selling a car. Some players will camp out around these locations and try to kill you and take your money. Once you’re somewhere safe you can easily bank your money via the web app on your in-game smartphone. Simply open the web browser, navigate to money and services and select maze bank. Once there, choose deposit, select the amount you wish to deposit and confirm and presto your cash is safe in the bank. If you plan to get any lapdances or purchase sexual favors from the cities streetwalkers you will need to have cash on hand but you can easily withdraw via your phone as well or choose to withdraw from one of the several atms scattered around the city. Another thing to keep in mind is dying in free roam will cost you $500 so if you’re constantly being killed by another player in free roam try not to let your anger get the better of you or you will find yourself broke. You should also join or create a crew as soon as you’ve created a character. Joining a crew may take awhile as you’ll want to find one that fits with the way you want to play the game, but it is simple to create your own crew and gain some nice benefits. Linking your gamertag via the Rockstar Social Club will net you some nice rewards right off the bat and being in a crew grants you a few extra niceties. You can have a custom logo on your car and some clothing, special tire smoke color, unique color smoke for parachuting, and more. Even if you plan to lone wolf it, create a crew for yourself so you can get the most of the game. One of the best aspects of GTAO is that it has brought the trademark craziness of the franchise and made that mayhem possible with friends. My personal favorite past time in GTAO is trying to do stunts with the various vehicles available. My absolute favorite being doing tricks and jumps with the BMX bike. The BMX can be purchased online for about 500 bucks and will allow you to jump the bike on and off just about every surface in the game. There are also ramps, and parks located around the city for a more structured play time if that is more your speed. An added benefit to using the bike is that all the pedaling around you do can quickly increase your stamina stat allowing you to sprint longer which will be handy in just about every other aspect of the game. You can also occasionally find a Cargobob helicopters around the city which allow you to pick up cars and carry them to great heights or put them in places they probably shouldn’t be.